We are seeking serious applicants – ideal candidates love Jesus and His children and have experience planning and working with children in a DCFS licensed setting. Teacher candidates must meet DCFS minimum qualifications* for positions (see below), and pass a background check. Prior experience in an early childhood education and care setting is preferred. *Teacher Qualified – School-Age Teacher = At least 19 years of age with 30 semester hours of credit from an accredited college or university, with a minimum of 6 semester hours related directly to school-age children, child development, elementary education, or related field. *Teacher Qualified – Twos Teacher = At least 19 years of age with 60 semester hours of credit from an accredited college or university, with a minimum of 6 semester hours related directly to child care and/or child development from birth to age six. 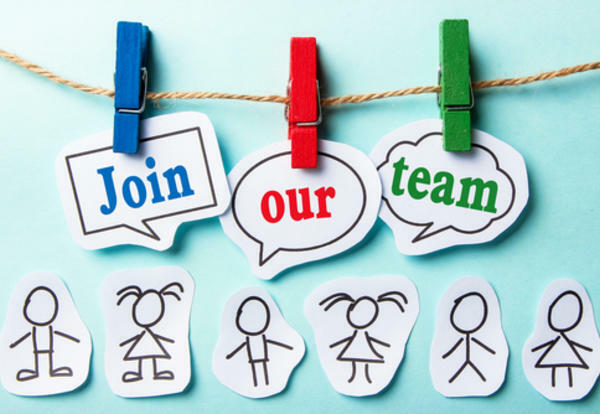 We are seeking a flexible candidate who is comfortable working in an early childhood setting – this person will teach and/or assist in our Twos Classroom. Children engage in skill building learning and activities throughout the school day in this classroom. Hours for this position are 8:00am-5:00pm. Full benefit plan available, including Medical and Retirement benefits. We are seeking a flexible candidate who is comfortable working with school-age students – this person would be responsible for helping us meet teaching needs in the School-Age classroom, while also assisting in some other areas of the Center. Possible additional duties would be coverage of teacher breaks in other classrooms, additional hours with school-age students for the Days Off Club (school closings/holidays during the week) and early dismissal days; substitute teacher in other classrooms on occasion; possibility of driving 14 passenger bus to transport students (but no other requirements necessary to do so). This is a part time position with the main hours being Monday-Friday from 2:30-5:30pm. This position has potential to lead to full-time summer hours with our Camp ELC Summer School-Age Program (program runs approximately late May – mid-August). Applications will be accepted through September 27th. Interviews will likely be scheduled to take place the following week. To learn more or to apply for a position, please contact Kim Newingham or Jamie Stanzione at St. Paul’s Early Learning Center at 217-424-9183 or visit us at 1 Bachrach Ct. in Decatur.